I think the Dale will be playing Championship football soon enough. I like the stance with Cavanagh too, his attitude would have spread like rot through out your dressing room and that's something you really don't need... good call! Great story mate, just read it all. Keep up the good work. Very good story, Mate. I will look forward, to more of this Amazing story. 2013-11-11 16:05#143015 Gazbuscus : OMG... Heskey. Congrats! I know right! The attitude on the captain haha! and thanks amigo! 2013-11-11 16:26#143021 Nic : Great story mate, just read it all. Keep up the good work. 2013-11-11 17:35#143047 Vegilans : Very good story, Mate. I will look forward, to more of this Amazing story. Wow Heskey is going to be killing it for you. 2013-11-11 20:41#143079 BayernAmerica : Wow Heskey is going to be killing it for you. 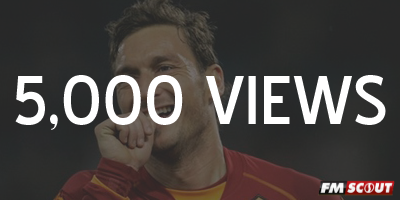 So much happened over the past few days that I didn't even realise that I've passed 5000 views, thanks a lot guys! 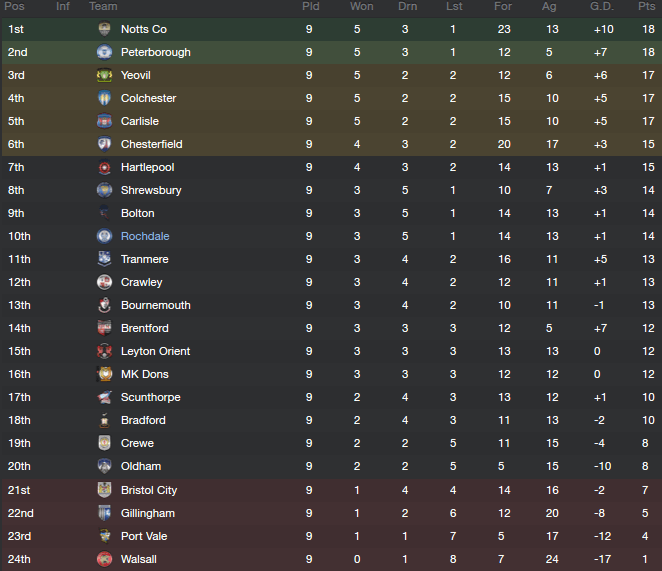 Unexpected things have happened over the past few months, firstly we were promoted to League 1, okay. 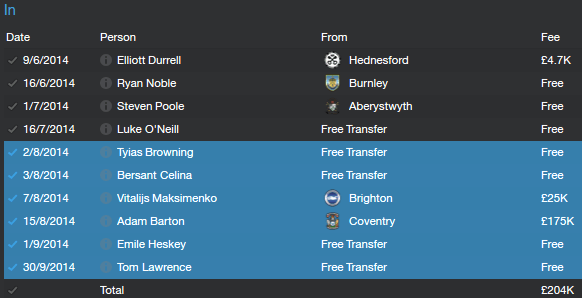 Second of all, we signed a well-known legend... and third of all we went on a long unbeaten run in League 1. This is just incredible right? 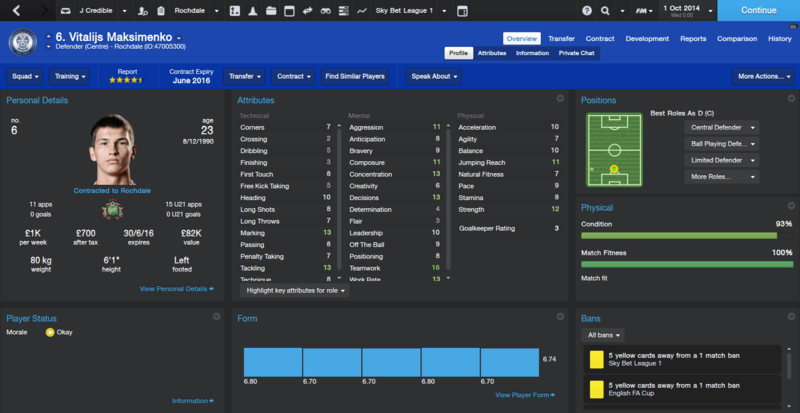 I secured this guy after he got released from Everton at the end of last season. He will serve as a rotation option to my other right-backs. A striker with immense quality released by Manchester City at the end of the 2013-14 season. He has the potential to become a leading striker in the Sky Bet Championship and he is currently on loan to develop his skills. Since the departure of Oliver Lancashire last summer, there has been a hole in the defence and Maksimenko should be able to fill that hole. He is a top-class centre-back and will be a key player for Rochdale in the coming few seasons. 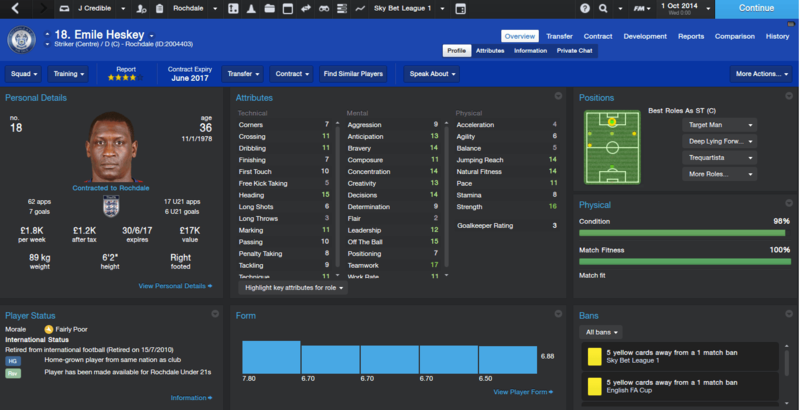 The most expensive signing I've made for Rochdale is this guy. 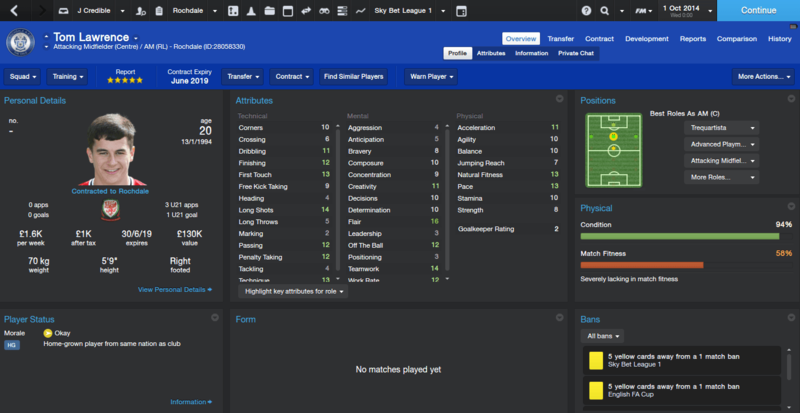 A DM(C), he will fit perfectly behind the two center mids and in front of the centre backs for an improved defence. 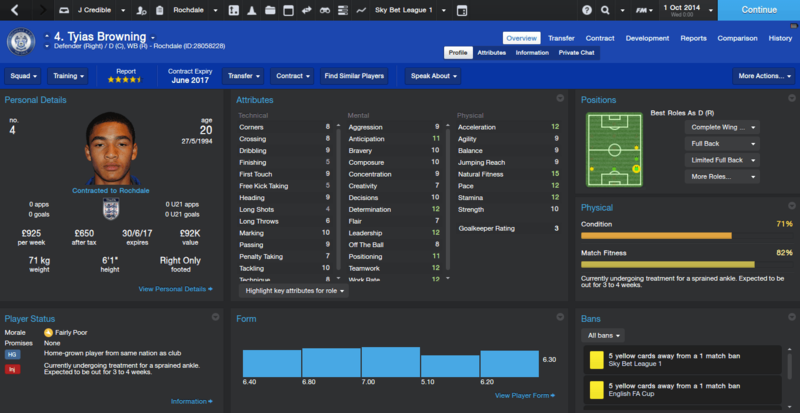 He has plenty of time to develop further and I won't be selling him for less than £900k. This has to be the signing of the year. I will say no more. 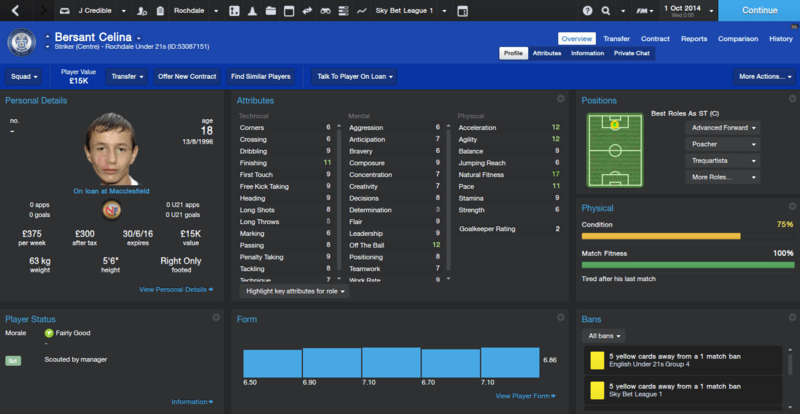 I sold Gary Dicker on a sour note to a better club last season. Coincidentally, Tom Lawrence also got released by Manchester United at the same time. Needless to say I was quick to pounce. 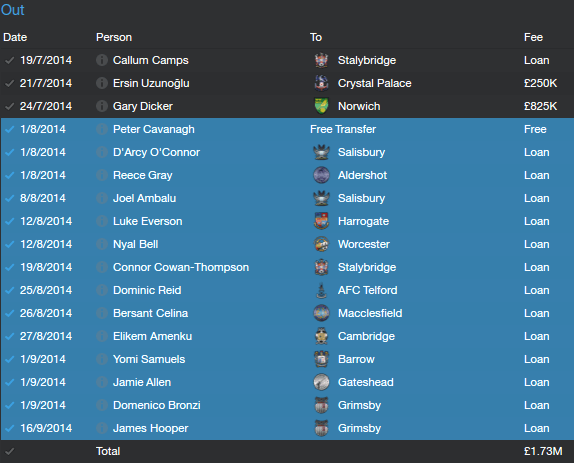 I haven't sold anyone except for releasing Peter Cavanagh, but then again... that could change. Chris Dunphy also emailed me the fixtures coming up as a reminder to keep myself going and to not get complacent. These fixtures are going to be a tough challenge, but we're ready. Great update though nice amount from the sales there!